pplkpr is an art project created by Lauren McCarthy and Kyle McDonald to explore the implications of quantified living for relationships. Who owns the data created between two people, what if it is captured and used? What if algorithms could understand our relationships and make better interpersonal decisions than we can ourselves? 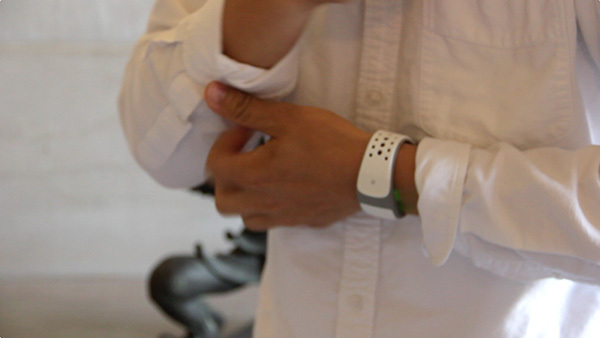 pplkpr uses GPS and a heart rate wristband to keep track of when you’re coming and going, and when you’re feeling emotional. pplkpr implements a complex metric called “heart rate variability” that uses subtle changes in heart rhythm to determine your emotional state. This data is correlated with the people you interact with to determine who should be auto-scheduled into your life and who should be removed. pplkpr started with over a year of research and experimentation, and eventually took the form of an iOS app ready for short term daily-life performances. The first performance of pplkpr was conducted with a group of students at Carnegie Mellon University. For one week, their stress levels were carefully monitored while their social lives were manipulated accordingly. During this performance, the students used a modified version of pplkpr that was able to control their social media. During their time at the STUDIO as Warhol Foundation Artists-in-Residence, McCarthy and McDonald discussed their individual and shared projects that explore new forms of interactivity and identity during this one-hour lecture presentation, co-presented with the Carnegie Mellon University School of Art. This work was developed in part through a residency at the Frank-Ratchye STUDIO for Creative Inquiry, with support from The Andy Warhol Foundation for the Visual Arts, and through a residency at Eyebeam Art + Technology Center. Lauren McCarthy is an artist and programmer based in Brooklyn, NY. 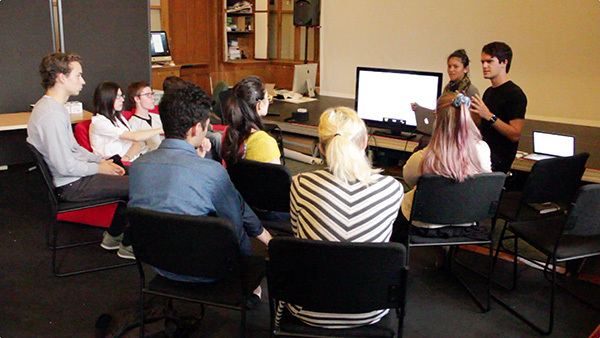 She is adjunct faculty at RISD and NYU ITP, a researcher in residence at ITP, and recently a resident at Eyebeam. Her work explores the structures and systems of social interactions, identity, and self-representation, and the potential for technology to mediate, manipulate, and evolve these interactions. She is fascinated by the slightly uncomfortable moments when patterns are shifted, expectations are broken, and participants become aware of the system. Her artwork has been shown in a variety of contexts, including the Conflux Festival, SIGGRAPH, LACMA, the Japan Media Arts Festival, Share Festival, File Festival, the WIRED Store, and probably to you without you knowing it at some point while interacting with her. Kyle McDonald works with sounds and codes, exploring translation, contextualization, and similarity. With a background in philosophy and computer science, he strives to integrate intricate processes and structures with accessible, playful realizations that often have a do-it-yourself, open-source aesthetic. He enjoys creatively subverting networked communication and computation, exploring glitch and embedded biases, and extending these concepts to reversal of everything from personal identity to work habits. Kyle is a member of F.A.T. Lab, community manager for openFrameworks, and an adjunct professor at the NYU ITP. Beres, Damon. “This App Identifies Your Most Toxic Friends.” Huffington Post, 1/27/2015. Buhr, Sarah. “The pplkpr App Wants To Tell You Which Friends Are Better To Hang With.” TechCrunch, 1/19/2015. Gonzalez, Leah. 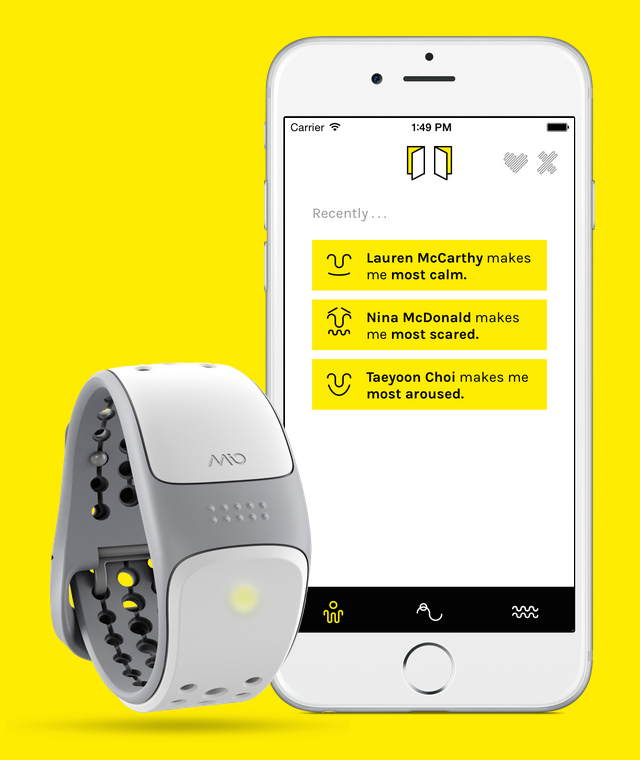 “iOS Heart Rate Monitor Helps You Cull Stress-Inducing Relationships.” PSFK, 2/13/2015. Groden, Claire. “This app can tell if you actually like your friends.” Fortune, 7/9/2015. Lopez, Brandon. “New App Tells You When Someone You Don’t Like is Approaching.” NBC Miami, 7/13/2015. McDonald, Kyle. “Blocking People In Real Life? There Is Now An App For That.” Interconnection. Murphy Kelly, Samantha. “This app tells you which friends stress you out, make you happy.” Mashable, 1/28/2015. Rothfield, Becca. 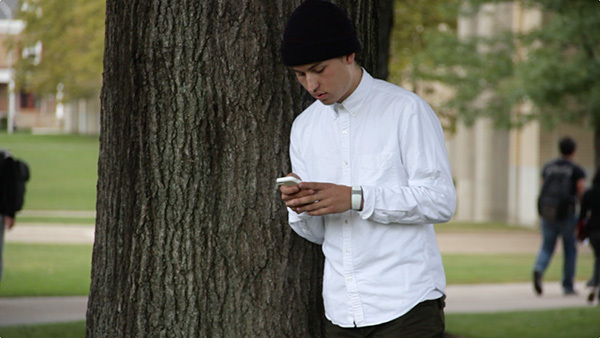 “New App Lets Users Outsource Their Relationships.” Hyperallergic, 8/19/2015. Weiner, Sophie. “This App Wants To Help You Get Rid Of People Who Stress You Out.” Fast Company, 1/26/2015. Woollaston, Victoria. “The app that tells you who you should – and SHOULDN’T – be friends with: Pplkpr ranks relationships by tracking how they affect your heart rate.” Daily Mail, 1/27/2015. pplkpr was presented as part of the NODE15 Festival in Frankfurt, Germany.